Stockdale is a friendly little town in central Wilson County. We are located at the intersection of US 87 and Texas 123, about 40 miles southeast of San Antonio and 25 miles south of Seguin. 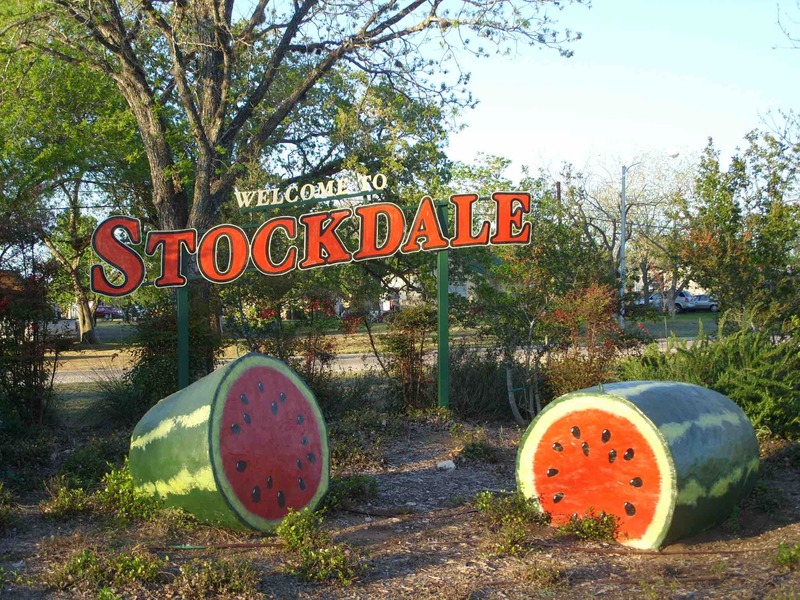 Stockdale enjoys all the advantages of life in a small town, yet is still less than an hour drive from one of the largest cities in the country. Institutions of higher learning in close proximity include: Texas Lutheran University in Seguin, Texas State University in San Marcos, Coastal Bend College in Beeville and numerous colleges and universities in San Antonio. Hospitals in Floresville and Seguin serve the area. Physicians and dentists are available locally and in nearby communities of Floresville, La Vernia, Seguin and San Antonio. San Antonio also boasts some of the premier medical centers in the southwestern United States. Stockdale is also served by a dedicated and well trained Emergency Medical Service and Volunteer Fire Department. Our city park would be the envy of much larger communities. Nestled among shady pecan trees lie softball and Little League baseball fields, picnic areas, covered pavilions, basketball courts, volleyball courts and a rodeo arena. We really think Stockdale is great. Come visit us and see what we mean! Tickets now available online at TicketWeb!! !